1 Apr 2019 Santa Clara - CRN, a brand of The Channel Company, has recognized DataDirect Networks' (DDN) PartnerLink programme in its 2019 Partner Program Guide. The annual guide identifies the strongest and most successful partner programmes in the channel today, offered by the top technology suppliers for IT products and services. With high-performance storage solutions that solve today's biggest data management challenges, DDN enables its resellers to offer unique solutions and extensive value-add service offerings. With a focus on artificial intelligence (AI), analytics and Big Data at scale, DDN has invested in significant updates to its PartnerLink programme over the past year including the relaunch of an advanced partner portal, and increased engagement with partners via intelligent business planning, an up to the minute activity stream, an advanced asset library, a monthly newsletter and the sharing of leads. Additional PartnerLink programme benefits include access to new sales and marketing tools, an augmented training programme, lead generation funding and deal registration. "DDN is at the forefront in providing the industry's most innovative at-scale storage solutions and delivering the demanding data performance requirements of new applications in AI, deep learning, IoT and machine learning", stated Yvonne Walker, senior manager of partner and customer experience at DDN. "We recognize the added value our channel partnerships bring to our customers due to specific AI expertise. Our investments in the programme reflect our belief that these partnerships are a key component in our success in the AI market." To assemble the guide, The Channel Company's research team assessed each supplier's partner programme based on investments in programme offerings, partner profitability, partner training, education and support, marketing programmes and resources, sales support, and communication. "With new technologies emerging every year, evaluating which IT vendors to partner with grows increasingly more complex for solution providers", stated Bob Skelley, CEO, The Channel Company. "We are proud the CRN Partner Program Guide has become the trusted resource to identify the most rewarding partner programmes and provides crucial insight into their strengths and benefits for the channel." 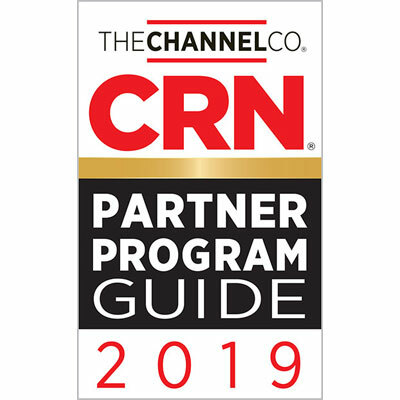 The 2019 Partner Program Guide will be featured in the April issue of CRN and online .